I originally published this last year but I keep getting questions about it, so I’m reissuing it now. Did you know that as many as 80 percent of dialysis patients experience bouts of insomnia? I didn’t but I do now. I’ve been taking a sleep medication for nearly three years and when I don’t take it, I don’t get a good night’s rest. I lay awake until about 6am which means I spent all night trying to sleep. I may get a couple hours of napping in during the night but nothing close to the rest I need. After 6am, I am often able to sleep for about three, sometimes four, hours but that’s it. Once the sun’s up, I just can’t sleep. There’s a hard-working, Prussian farmer lodged in my DNA (Great-grandpa) who figures if the sun’s up, I should be, too. I never had much trouble sleeping before my kidneys failed. I generally went to bed and slept all night. However, with ESRD came insomnia and, in my case, it was after I had been in dialysis for a year or so. In the first year, I think I had no trouble sleeping because I was so exhausted most of the time. However, once my blood got cleaned up and my energy levels increased, I started to have problems with insomnia. emotional issues such as depression. In my case, none of these is considered the primary cause of my insomnia. It could be a combination of these or none. 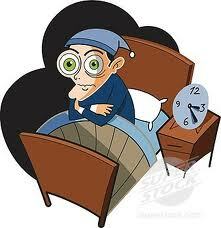 The problem is there are very few studies of insomnia in dialysis patients. You’d think with such large percentages of dialysis patient experiencing insomnia, there would be more investigation into the causes and treatment. One recent study in 2011 stated, “Epidemiology, pathophysiology and treatment of sleep disorders in CRF (Chronic Renal Failure) and dialysis patients are still unclear and require further research.” That’s an understatement. I’ve tried a couple sleep medications including zolpidem (Ambien) and temazepam (Restoril). Both were effective but the Ambien cost more so I use temazepam. I get good results from it. I take it about 30 minutes before I want to go to sleep and it works very well. I sleep for eight hours uninterrupted. WebMD has a page about these medication and warnings. So, I take my medication each night and sleep well but I am concerned about issues such as addiction and long-term consequences. The medication I take is a benzodiazepine that has addictive properties and can also have withdrawal difficulties if suddenly stopped. However, if I don’t take it, I suffer those consequences, too! When I was working, my sleep was even more important but not getting enough sleep is also important to my good health as a dialysis patient. I’m sorry I can’t offer any good solutions to insomnia except to point out that it’s common in dialysis patients. But, as I come across anything, I’ll pass it along. In the meantime, you can “rest assured” (bad pun) that you’re not alone in your restlessness (another bad pun) on this issue. It seems to be something many of us share but so little is known about why. Update 7/7/14: I still have bouts of insomnia even when I’ve taken my pill (zolpidem, or generic Ambien). I suspect that the quality of the Ambien knockoffs is not very good and we suffer as a result. There have been a couple times when I had insomnia and the next evening, I go to fill my medicine cup before bed and there are the pills I didn’t take last night including the Ambien. Duh! However, the quality of generics has been poor. They come from foreign manufacturers and there isn’t the quality control like there in is the US. You get what you pay for, I guess. An informative article about some medications that may contribute to insomnia. Click HERE to read it. Update 2/11/15: Here’s another article about things to do if you can’t get to sleep easily. I found it informative. To read it, CLICK HERE. This entry was posted in dialysis, insomnia, New Patient and tagged dialysis, ESRD, hemodialysis, insomnia. Bookmark the permalink. It’s not normal for non-dialysis patients but sleep disruption is “normal” for dialysis patients. Speak with your doctor about it and see if a sleep medication might help. Interesting… I’ve had a lot of insomnia (esp lately) and thought it was just me. Glad to know it’s simply just another of the many issues we have as dialysis patients. Weeeee! Ugh. You have my sympathy on the insomnia thing. I’ve been an insomniac for much of my life. Melatonin helps some, but not always. My husband, who is on dialysis, doesn’t seem to have trouble with the sleeping. However, his restless legs keep ME awake. He sleeps right through it, but he wakes me up by flopping his legs all over me and kicking me from time to time. When it gets bad I have to go sleep on the couch, but by then it is usually too late. There’s no going back to sleep for me. There are medications for RLS (Restless Leg Syndrome) and I’ve heard drinking Quinine such as in Tonic Water helps. I take a med for it and it really helps but sometimes I feel really drunk the next morning. I wouldn’t suggest it for days when you need all your cognitive functions. With RLS, neither of you are getting a good night’s sleep. I use a mild opiod for my sleeplessness (oops, time for meds), along with an anti-depressant that brings drowsiness. Both of these help, but not always. The single most helpful thing, especially now that I am retired, is a consistent schedule. I don’t always keep one, and when I don’t I feel worse. You don’t have to get up with the sun (or the cat…wait I’m on home-dialysis, WHY do I have a cat? Is must be a death-wish! ), but getting up the same time (or nearly) every day and going to bed around the same time every day helps both with the body and the psyche. I just started peritoneal dialysis and always used to sleep well prior to all this. I appear to have restless leg syndrome now and am wondering if the glucose or starch in the dialysate (increased at night) has something to do with it. Is the extra sugar we are absorbing making us more restless? That’s a good question! In my case, the sleep study found I moved my legs over a 1000 times in the study! I must be running in bed!